This easy-reading, colorful introduction for cocktail beginners, with approximately 100 succinct lessons on drinking culture, spirits, and cocktail making, is delivered in the pithy, wry style Morgenthaler is known for in his instructional videos and writing for beverage publications. Novices will learn how to order a drink, how to drink with the boss, how to drink at the airport, and more. Twelve perfect starter recipes—ranging from a Dry Gin Martini to a Batched Old-Fashioned (perfect for the flask)—plus thirty original illustrations round out this distillation for new enthusiasts. SAMI GASTON is a bartender-turned-illustrator. "My favorite drinks book of the year is The Bar Book: Elements of Cocktail Technique. Mr. Morgenthaler, a well-regarded Portland, Ore.-based bartender and blogger, notes that a great cocktail requires a combination of three elements: recipe, ingredient and technique. He admits that the first two have been well-plumbed in existing books, then lasers in on the third. Just learning how to make his ingenious but simple 'MacGyver Centrifuge' with cheesecloth and a salad spinner to filter fruit juices is nearly worth the cover price." 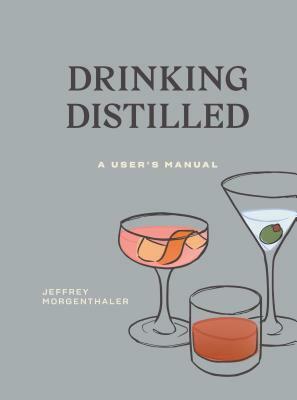 "An accessible but sophisticated primer that could render the rest of the cocktail library obsolete."